Quick thing: I suggest you don’t start this way, do a few hours of plunder first to get used to how it works. Maybe check out the beginners guide first! To use the sceptre, it’s the TOP TELE, Jalsavrah, it tellies you straight to the mummy to start the run. 5. You should already know how the next bit works, run through this garbage. 6. Go to the room BEFORE your max room until the timer reaches about here, then go to your max room. 7. Do NOT pick from the chests or the coffin, waste of time and valuable exp. BUT! I do pick from the chest right before i leave my room before max and max. 8. If you do open up the chest and the scarab things come out in a room you’re staying in, flick on protect from melee and keep thieving, they do nothing. 9. 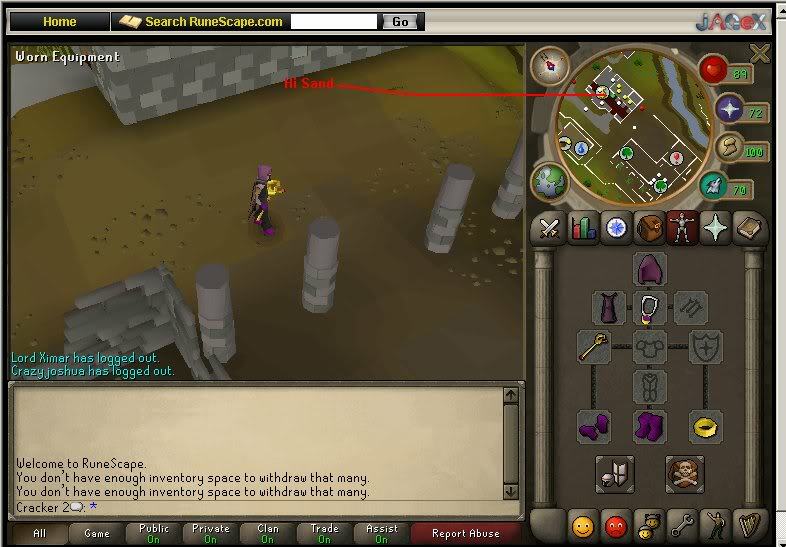 MAKE SURE YOU HAVE 1 CHARGE LEFT from the sceptre. So you used up 1 full sceptre, and 2 charges from the other 1. Glory to edge and withdraw 24 stone peices, and use your last tele back to the mummy, left click talk to him, recharge your sceptres. Edge tele, restock, do it again. 10. 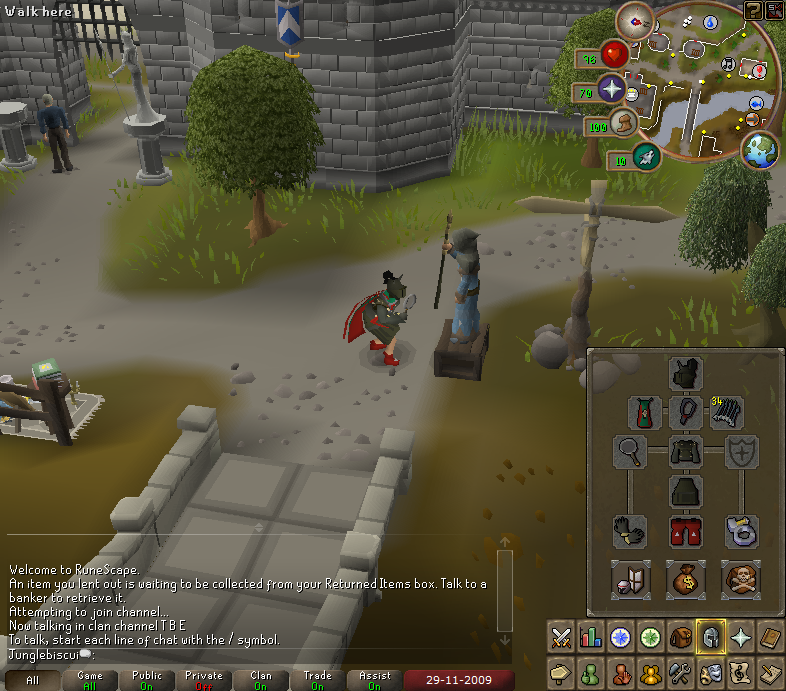 Doing this my way I made a minimum of 180k exp per hour and got as high as 240k. 11. I hope this helps. 12. What’re you doing still reading? get stealin’! If you wish to join our group, you will need to pass a series of logic tests. This induction is expected to take four days to complete and you will get a new clue each day. We do not look favourably on cheaters or those who give away the answers! Only those smart enough will reap the reward! Know who that is? Good. We thought we’d start you off with an easy one. Talking to our contact is all well and good, but don’t forget the code items in order to give him the all clear to talk to you! Here I have a selection of items in a grid, along with some letters. Use the clues below to point you to some secret words. Building these words will give you the coordinates for the right items on the table. The words begin with the letters down the left. Simple, isn’t it? Don’t worry; things will get much tougher later on! Know what those three items are? You’ll want to carry three of the first, two of the second and five of the third, so he knows you’re not just a lucky guesser! The contact is Lachtopher in Lumbridge. For this clue, you will need to have a great deal of insight, for there are many things in this world that are not always as they appear. Can you rise to the challenge? Highlight: When baking a cake, there’s a bucket of one ingredient you’ll need. Carry two of these. It is a world full of mystery and magic, after all. 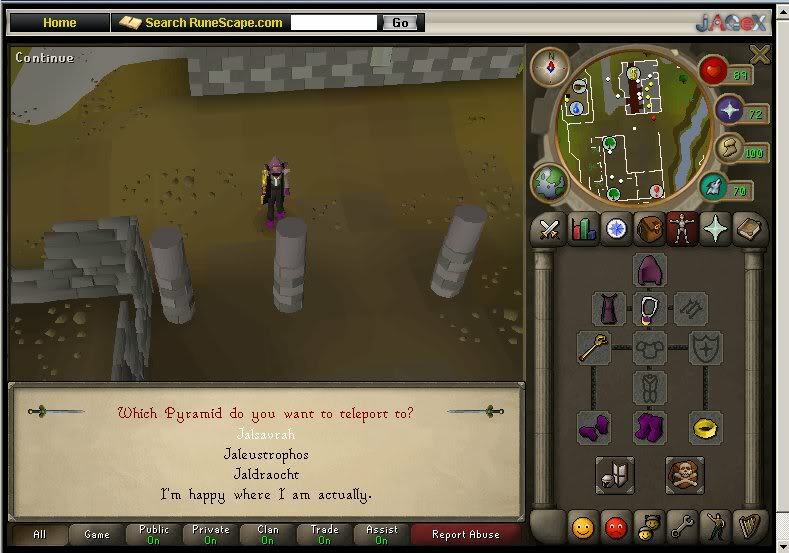 You may need to cast your lines to the farthest reaches of Gielinor in order to obtain all you need. Highlight: You’d never catch Herring with empty line, so carry seven of this item to catch your contact. Lumbridge, Draynor, Falador, Varrock, Edgeville, Al-Kharid; who knows where your adventures will take you? What treasures you will discover! Highlight: Ever heard of Roman numerals? You’ll need to carry CCXXVII gold coins! I’m afraid I’ve told you all I can – you must now strike while the iron is hot! With wisdom comes the ability to read between the lines, so don’t let us down! Highlight: The final item is a tool used in creating your dwellings and protecting your body from attack. Hit the nail on the head with four of these. The contact is Wildy Bartender, by the sawmill north of Varrock. We must congratulate you on making it this far. It’s day three of your trial and you’re doing well. Hopefully, you’ll have the details of the third contact you will need to speak to. As always, we have a series of code items you’ll need to have with you in order to persuade our contact to speak. A tailor is making a new coat. He needs half the amount of threads that are in the hem for the collar. The sleeves need four times as many threads as the collar. The trim, which is the same as the hem, requires ten threads. The sides need five times less than the sleeves. If the tailor buys 55 threads, how many does he have left over once he’s made his coat? The number of threads he has left is the same number of Red Spiders’ Eggs you’ll need. Fred the Farmer and his brother, Geoff the Gardener, have acquired a ten-acre plot of land between them. They split the rights to the land evenly and go to work at planting seeds and crops on their half of the farmland. Farmer Fred starts from the west, while Geoff the Gardener starts from the east. Fred plants seeds at twice the rate Geoff does, but Geoff ploughs an acre every ten minutes while Fred takes twenty-five minutes. Selling all of their produce results in 400 gold coins between them. How much of that wage is Fred entitled to? You will need to be carrying that same amount of gold coins. My third is in gallant but not in talent. My fifth is in thread but not in death. What am I? You’ll need to carry three! 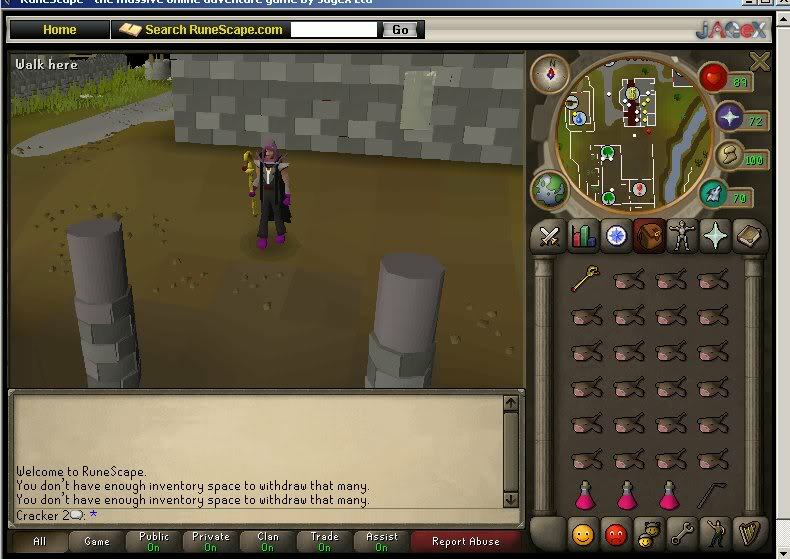 The contact is Gem Seller in West Falador. You’re nearly there! You have the details of the final contact you’ll need to speak to. All you need are the code items to give him the go-ahead to share his knowledge with you. Get your cryptic-crunching craniums around this clue and you’ll be all set. For your next brain-training endeavour, we asked our good friend Sir Tiffy Cashien to come up with a complex conundrum for you to contemplate. “On one of my many journeys about Gielinor, I encountered the strange beast known as the Chaos Elemental. When I came across this swirling vortex of randomness it was holding a rather mundane looking chest. “What items do you have in that chest?” I asked it. Confused? By Jove, that’s an understatement! I was dumbstruck for a while, but I remembered my lessons in deciphering secret messages and eventually I cracked it! An odd assortment of items, but then the Chaos Elemental is a strange being! If you can solve Sir Tiffy’s little puzzle then you should know what items you will need for this part of your test! Take them to our contact for your final set of clues. The contact is Faruq, the games equpiment salesmen near to the gem seller in al-kharid.